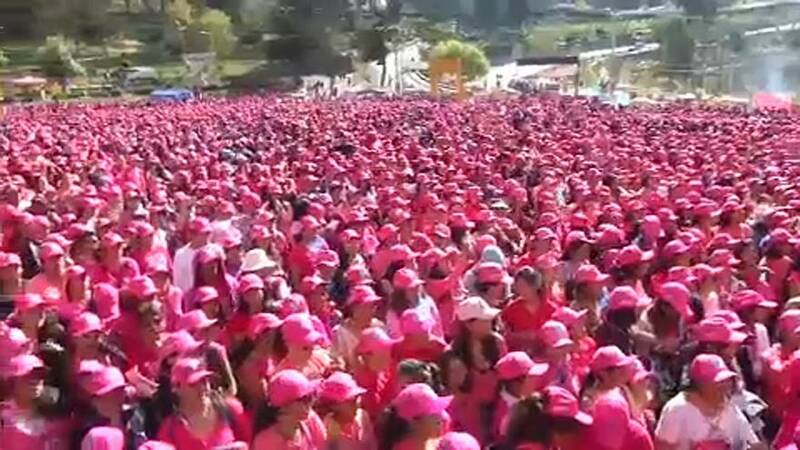 Thousands of women took to the streets of the Bolivian capital La Paz on Sunday to take part in a run and demonstration against gender-based violence. From January to August this year, a total of 76 cases of femicide — the killing of a woman because of her gender — were reported in Bolivia, according to the Attorney General's office. Studies show Latin America is home to 14 of the 25 countries with the world's highest rates of femicide, with 12 women and girls killed daily in the region simply because they are female. In recent years, women have taken to the streets across Latin America to protest gender violence as part of the international "Ni Una Menos" or "Not one (woman) less" campaign.